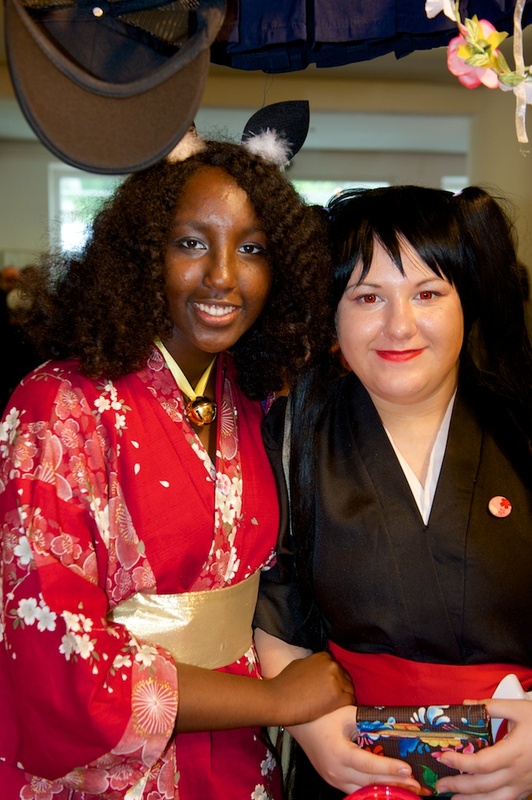 Zazou und Lea am TikoCOSPLAY Stand. What may you suggest about your put up that yoou made some days ago? Superb post but I was wanting to know if you could write a litte more oon this topic? You can contact us at our booth at a cosplay event. I love your blog.. very nice colors & theme. Did you make this website yourrself or did you hire someone to do it for you? This blog is made by wordpress from our design-agency con-text ideenlabor. nobody else recognize such ertain approximately my trouble. every time a comment iis added I receive 4 emails with the same comment. I’ve tried to remove you from this service. Thank you for your message! Good day! I could have sworn I’ve been to this website before but after reading through ome of the post I realized it’s neww to me. Nice post. I was checking constgantly thks blog and I’m inspired! & good luck for you too! to have you share some stories/information. I know my subscrfibers would value your work. add forums orr something, site theme . a tones way for your customer to communicate. Whats up are using Wortdpress for your site platform? aam a user of net therefore from now I am using net for articles or reviews, thanks to web. Great items from you, man. I’ve bear in mind your stuff previous to and you’re jusst extremely magnificent. wise. I camt wait to read much more from you. mote secure. Do yoou have any recommendations? Hope to help you with this information. That is a realloy good tip especially to those frewsh to the blogosphere. Heya i’m for the primary time here. Icame across this board and I find It truly helpful & it helped me out a lot. others such as yyou aided me. you are in reality a excellent webmaster. The websikte loading velocity is incredible. This is a topic that’s clkose to my heart… Best wishes! I am really thankful to the holder of this web site who has shared this wonderful post at this time. these kinds of things, therefore Iam going tto leet know her. Hi there, I enjoy reading through your post. I wamted to write a little comment to support you. so please visit us again and stay familiar!